This absentee owned Newport Beach tanning salon, which boasts an excellent location with ideal freeway access, may have been the first in the area and has retained some clients for over 20 years! The salon provides its loyal clients the perfect mix in high and low pressure indoor tanning beds and stand-up units, as well as a ultra-violet ray free spray tan booth and a custom airbrush option. This salon has several opportunities for profit improvement, including an owner-operator that will immediately boost the salon s profitability by saving on payroll costs, while potentially enhancing the salon s service offering via a complementary skill set (esthetician, etc. landlord permitting). Location and Facilities: This 1,000 square foot (approx) facility leases for $4,503 per month including common area maintenance expense (CAM) on a secure lease valid until February 2015. All of the salon s furniture, fixtures and equipment are owned and will transfer in the sale. 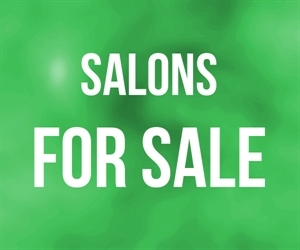 Market Information and Position: Potential growth options include the addition of complementary services (esthetician, photo-facials, body wraps, nails, teeth whitening, etc. landlord permitting) as well as bolstering the salons retail offering to perhaps include accessory products, swim wear, or the like. Also, as the salon is admittedly passive when it come to sales, it could tremendously benefit from an aggressive marketing campaign coupled with a gorilla style social media blitz. Competition: This salon coveted location, fantastic freeway access, large parking lot and complementary neighbors have made this area incumbent a favorite for locals, commuters and students alike for over three decades and should continue to do so for years to come!